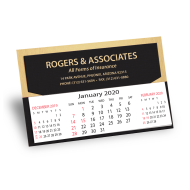 Imprinted desk calendars are an attractive and affordable way to promote your business for a whole year. This small desk-friendly format has become a favorite for any company interested in executing a successful business-to-business promotional campaign and looking to reinforce brand recognition. 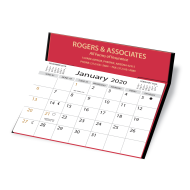 Using promotional desk calendars for your next marketing campaign will ensure daily exposure for your business for at a whole year. 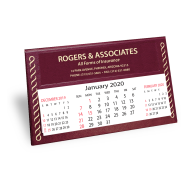 These desk calendars are dynamic business-to-business promotional items that have become an integrated part of any workspace, either at the office or at home. 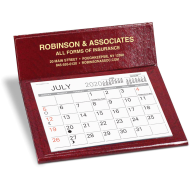 Don't let another year pass without enjoying the promotional benefits of desk calendars.